In 2009 Miami University adopted MU-Lean as a business strategy, which is a systematic method for the eliminating waste within processes. This approach is centered on the customer and deeply involves the individuals who participate in making a collaborative change. 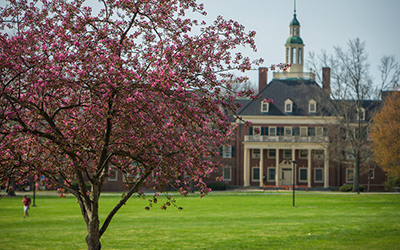 Miami University is committed to spreading the Lean methodologies and embedding an unconscious habit for continuous improvement. MU-Lean is designed to empower employees to actively participate in capturing and developing ideas and transforming that vision into a positive change for the customer. MU-Lean is a new way to think about how to organize human activities to deliver more benefits and value to customers while eliminating wastes. The aim of MU-Lean is one that sustains growth by aligning customer satisfaction with employee satisfaction, and that offers innovative products and services profitably while minimizing unnecessary over-costs to customers, suppliers and the environment. The basic insight of lean thinking is that if you train every employee to identify wasted time and effort in their own job and to better work together to improve processes by eliminating such waste, Miami University will deliver more value at less expense while developing every employee’s confidence, competence and ability to work with others. Leadership and support from the "top"
Suggestions for new Lean projects are welcomed and encouraged. Please submit your ideas for continuous improvement through the MyCard system (login required). How can I join a Lean team? The Lean Initiatives Office maintains a list of volunteers who would like to participate on Lean projects. If you are interested in applying, please submit a Volunteer Form.